After sifting through reams of research on sales, flight charts, throws, reviews, and top pro recommendations, we whittled down 10 of the best discs released to the public in 2018 and put them up for a vote to decide Ultiworld’s 2018 Disc of the Year. 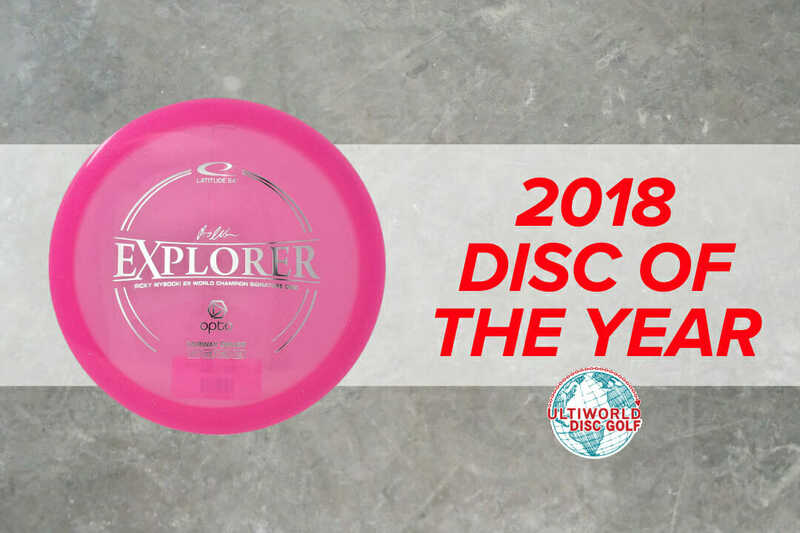 Results are in, and the readers chose the Latitude 64 Explorer as UWDG’s 2018 Disc of the Year. From Latitude 64: Straight flight path and controlled glide, that’s what the Explorer is all about. Designed to be the workhorse for all kinds of accurate fairway drives, this stable and versatile fairway driver was developed in cooperation with two-time World Champion Ricky Wysocki. Comments on "2018 UWDG Disc Of The Year – Latitude 64 Explorer"